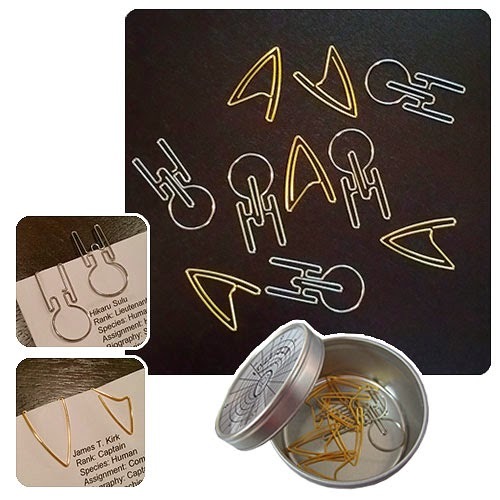 What better way for a Star Trek fan to show their passion for the series than at work? 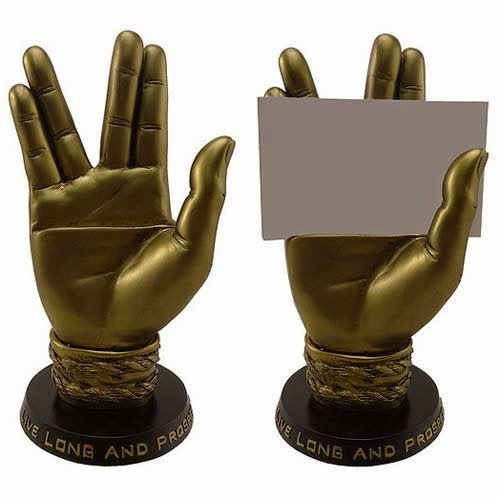 For $35 one can get the below Mr. Spock business card holder and for $20 one can preorder (available sometime in July) a Trek-themed tin with 40 paper clips, 20 shaped like the Starfleet delta insignia and 20 shaped like the U.S.S. Enterprise.